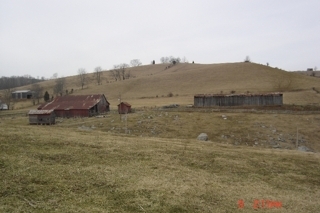 REAL ESTATE AUCTION-270+/- ACRES DIVIDED | GAINES DICKENSON AUCTIONEERS, INC. REAL ESTATE AUCTION-270+/- ACRES DIVIDED – GAINES DICKENSON AUCTIONEERS, INC.
SATURDAY, MARCH 21, 2009–11:00 A.M. OFFERED IN 13 TRACTS OR ANY COMBINATION. Improvements include a stately farmhouse on Tract A, as well as other out buildings. 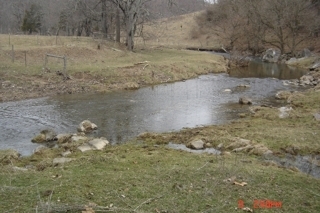 Many tracts have water frontage on MOCCASIN CREEK. Two deep wells (one on Tract 4 and one on Tract A) supply water to numerous livestock troughs on select tracts. **PLEASE NOTE**The mobile home situated on Tract 4 is not included in the auction. This very desirable property offers crop, meadow, and pasture along with some woodland. Your complete inspection and that of your professionals prior to the auction is invited. Offering great views of surrounding mountains and many ideal home sites. SIGNAGE, ARROWS, AND TRACT SIGNS IDENTIFY PROPERTIES BEING SOLD. OR CONTACT AUCTIONEERS FOR PRIVATE SHOWING. SIGNAGE IS NOW IN PLACE AND IDENTIFIES ROAD FRONTAGE ON EACH TRACT. 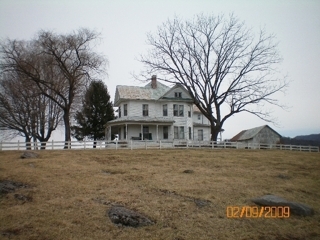 TEN PERCENT (10%) ESCROW DEPOSIT REQUIRED BY CONCLUSION OF AUCTION. BALANCE UPON DELIVERY OF DEED AND APPROVAL OF THE CIRCUIT COURT OF RUSSELL COUNTY IN APPROXIMATELY THIRTY (30) DAYS. CONCESSIONS AVAILABLE AUCTION DAY BY FORT GIBSON UNITED METHODIST MEN. AUCTION CONDUCTED OFF SITE AT OAK GROVE COMMUNITY CENTER, FORMERLY OAK GROVE ELEMENTARY SCHOOL, RT 613, ONE MILE FROM HWY 58. FROM HIGHWAY 58 AT BOLTON, TAKE RT 613 (MOCCASIN VALLEY RD) 2/10’S MILE, TURN LEFT ONTO RT 677 (CEDAR GROVE RD), PROCEED 7/10′ MILE, TURN RIGHT ONTO RT 676 (CLINCH MOUNTAIN ROAD), PROCEED 3/10’S MILE –PROPERTY LAYS ON BOTH SIDES OF RT 676. AUCTION CONDUCTED OFF SITE AT OAK GROVE COMMUNITY CENTER LOCATED ONE MILE FROM HIGHWAY 58 @ BOLTON ON RT 613.